The transport of crude oil by rail and truck, while we wait for the Obama administration to make a decision on the final sections of the Keystone XL pipeline, is undergoing strong scrutiny both in the U.S. and Canada after several small incidents and a major one in Quebec in 2013 that took the lives of 47 people. The announcements in mid-August that there isn’t enough current pipeline capacity to handle all the crude that is being produced in the Texas/New Mexico Permian Basin, as well as a consideration by North Dakota officials that Bakken crude be partially refined before shipping by truck or rail to lessen volatility, have oil producers scratching their collective heads, wondering how to safely and efficiently get all this new crude to refineries. Without a pipeline, there really aren’t any other viable alternatives to truck or rail, so producers are forced to settle for one or the other. This has caused an extra burden on refiners since, according to a recent report by Reuters, oil production from the Permian Basin is outpacing pipelines’ ability to transport the crude to U.S. Gulf Coast refineries, causing the refiners to pay an additional premium to acquire the oil. Add to that the fact that between the Bakken, Permian, and Eagle Ford, there will be almost four and a half million barrels per day being produced, and you can see the dilemma being faced. That oil needs to get to the refiners, especially with refinery maintenance season almost upon us. 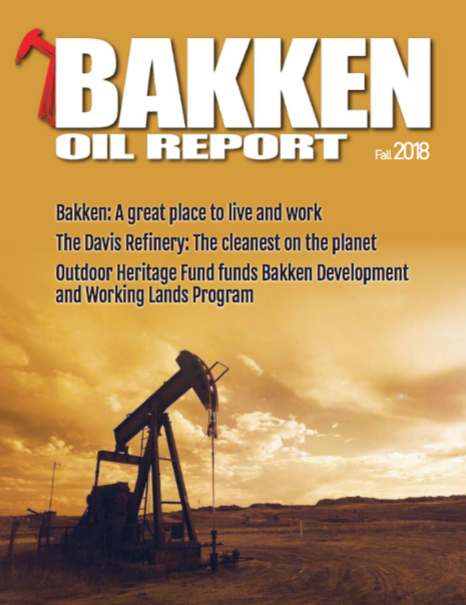 In the case of the Bakken, things took an interesting turn in mid-August, when it was revealed that North Dakota officials are considering a requirement that drillers and producers partially refine their crude before being loaded and shipped by rail to refineries on the West Coast, East Coast and Gulf Coast. Their proposal would require separating the natural gas liquid from the crude, which in turn would reduce flammability as well as vapor pressure. Of course, this can’t be done for free, and will add supplementary costs to the product being pulled from the Bakken. That doesn’t sit well with drillers in the area, who would be forced to foot the bill, and eventually down the line, it would be passed along to the end-users. 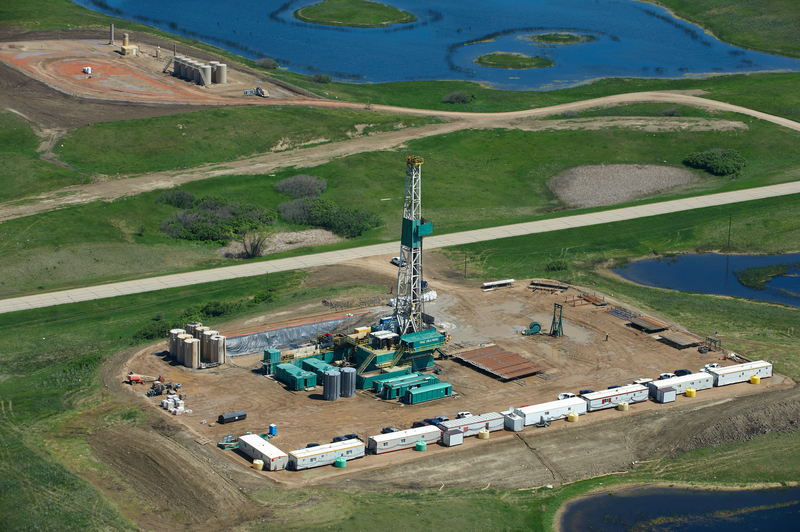 It also makes new drillers a little more wary of entering the area when it may be easier and more profitable to go to the Permian or Eagle Ford plays in Texas. To understand fully what is going on with the pipeline, there first needs to be some clarification about what the Keystone Pipeline actually is, where it goes (and will go), and what’s holding up completion. There are five sections to the pipeline, which in its entirety stretches from Canada to the Texas Gulf Coast. Three of the five sections are complete and have been transporting oil in many areas since 2010. Phase 1 of the pipeline went online in June of 2010 and is actually the longest section of Keystone, at 2,147 miles. It runs from Hardisty, Alberta, Canada, to Patoka, Illinois, with pumping stations and terminals in Regina, Saskatchewan, and Steele City, Nebraska. Phase 2, which began pumping oil in February 2011, actually branches off Phase 1 in Steele City, and runs south for 300 miles to Cushing, Oklahoma. There are two parts to Phase 3. The first, called Phase 3a, went online in January of this year and runs the 487 miles from Cushing to Nederland, Texas, just outside of the Beaumont/Port Arthur area, and serves refineries in those cities. A 47-mile extension of that section, which is called Phase 3b, is currently under construction and runs from Liberty County, Texas to the Houston refineries. But it’s the 1,179-mile section of the pipeline known as Phase 4 that is being held up by the Obama administration, and in turn, creating logjams along the way. That section, when approved, will also begin in Hardisty, Alberta, but will take a more western route through Baker, Montana, the Bakken region, and eventually merge with the other sections in Steele City. So why is it being held up, when three-quarters of the pipeline is already carrying oil, and the most critical part (the one that would carry a majority of Bakken oil safely underground) is in limbo? Let’s start with the environmental issues. Environmental groups have convinced the Obama administration that the Phase 4 extension of the pipeline would lead to increased extraction of Canadian oilsands than is now being done, which, according to the environmentalists, would lead to about a 15 percent increase in greenhouse gas emissions. Guess what? Canada is going to continue to extract oil from their tar sands, pipeline or no pipeline, and if the U.S. is no longer a viable market, it will be sold to the Chinese or somewhere else overseas. The other major argument that the environmentalists use is the fact that the proposed path of the pipeline crosses the Ogallala Aquifer, which traverses several states. They are concerned that a potential leak could contaminate the water from that aquifer, which supplies drinking water for millions of people in the region. But the truth is that thousands of miles of pipelines already exist over the aquifer, and they have for decades. These pipelines carry both crude and refined hydrocarbons and have never had an incident. And just a side note on that issue: Pipelines are underground and pretty much stay where they are placed. You can’t say that about railcars going through the middle of cities, or trucks going 70 miles per hour through your town. So that brings us to the political issue. And that, in many cases, goes hand-in-hand with the environmental issues, because environmentalists vote in large numbers, and this is an election year in the U.S. Keystone has become a major election issue in virtually all of the states that the pipeline would cross. As one might expect, House and Senate Republicans, almost to a T, are in favor of the pipeline, because they see how much and how fast it would expedite American and Canadian energy independence. Strangely enough though, many Senate Democrats are also in favor of the pipeline, and even went so far as to write the President a letter, urging him to approve the pipeline and remove the roadblocks that have kept it from proceeding. The letter was written back in May of this year, but so far, no action has been taken by the Obama administration. And that brings us back to our original dilemma. Until the administration moves into gear on giving the go-ahead for the last section of the Keystone XL pipeline, oil from that region will continue to be hauled by rail and truck, burning fuel along the way, adding costs to the process, slowing delivery times, and causing backups in stockpiles much like the ones we are seeing now in West Texas. It’s been said that politics moves slowly. But now it can be safely said that Canadian and American oil is going to be moving slowly as well, thanks to inaction on behalf of the administration. Chris Faulkner is the chief executive officer, president and chairman of Breitling Energy Corporation1 (BECC), an oil and natural gas company based in Dallas, Texas. 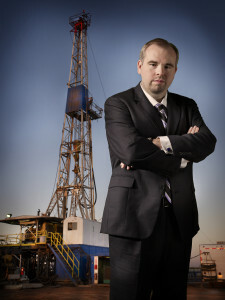 Author of The Fracking Truth—America’s Energy Revolution: The Inside, Untold Story2 and producer of the fracking documentary Breaking Free3, Faulkner was named Industry Leader of the Year in 2013 by the Oil & Gas Awards for the Southwest Region, Oil Executive of the Year in 2013 by the American Energy Research Group, and recognized in the Dallas Business Journal’s “40 Under 40” in 2014, as well as the “Dallas Who’s Who in Energy” in 2012 and 2013. Breitling received the 2013 Aggreko Award for Excellence in Environmental Stewardship from the Oil & Gas Awards for the Gulf Coast Region, was named 2013 E&P Company of the Year by the Oil & Gas Awards for the Southwest Region, “Best North American Operator” by World Finance Magazine in 2011, 2012 and 2013, and to the “Dallas 100 List” in 2013, ranking fourth among the top 100 companies in the Dallas-Fort Worth area.